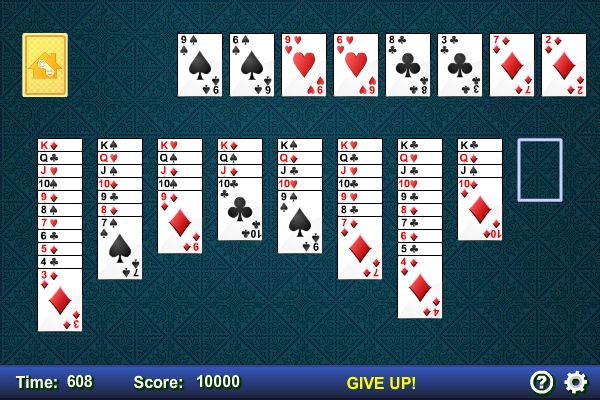 This is the popular Klondike Solitaire card game. The object of this game is to pile all the cards up in four piles, each pile must have the same suit and must go from A to K. The card can also be piled up temporarily at the bottom, while doing so the cards must be in alternate colours and must be in descending order of consecutive numbers. Only a K can be put on an empty column at the bottom. Thousands of full TV episodes, streaming TV, online videos, movies, apps and radio into one easily searchable program!